The Grand Gardens Resort, Igatpuri is one of the most felicitous destination wedding venues to start the beautiful journey of your life. This beautiful destination wedding venue in Igatpuri is apt for hosting a wedding that is remembered lifelong and is located between the mountains offering a scenic beauty. You are sure to be blessed by nature when you tie the knot amidst the serene atmosphere of The Grand Gardens Resort. Spread across 110 acres, the place is untouched by the hustle bustle of the city and is pollution-free. Offering the perfect setting, The Grand Gardens Resort, Igatpuri is the place you should be heading if you are planning a lavish destination wedding. The halls can be utilised for hosting several events like birthday parties, anniversary functions and other events with a small guest list. The sprawling lawns with mountain view are for grand affairs and can accommodate thousands of guests. 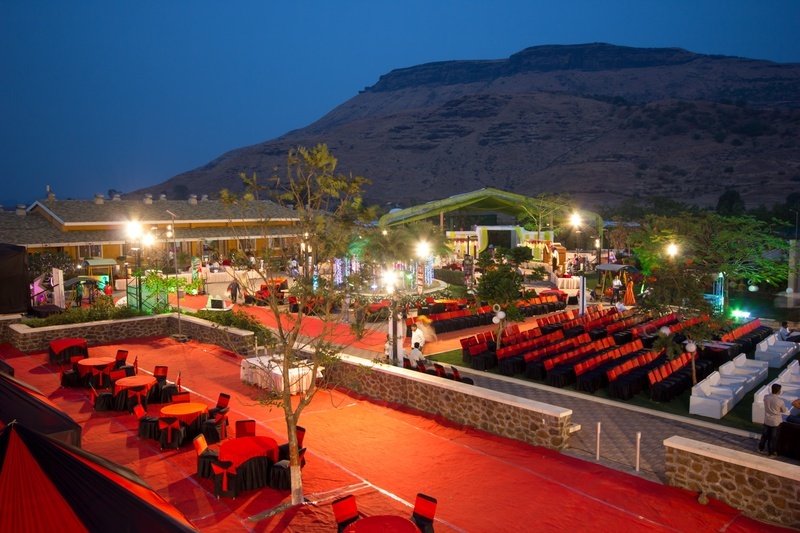 The Grand Gardens Resort, Igatpuri is the perfect venue for celebrations of all kinds. It has arrangements for catering services and allows you to get the venue decorated in the best possible way. You can have a themed-wedding and utilize the vast space for huge stage settings that will add to the grandeur of your wedding affair. Click here for more details and bookings!